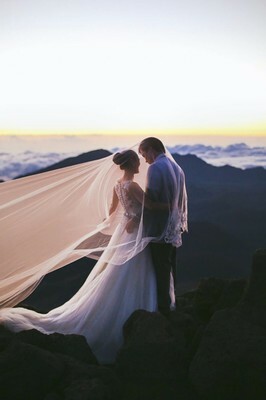 Say "I do" in Hawaii - and say aloha to your fairy tale. Share your special moment with friends and loved ones at Aulani, A Disney Resort & Spa in Ko Olina on O?ahu. It's a tropical paradise with a touch of magic. 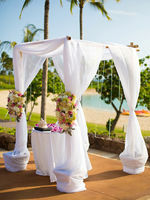 Surrounded by pristine beaches and sparkling waters, Aulani is an ideal setting for a romantic yet relaxed celebration. 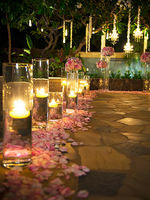 Learn more about planning a Disney Hawaiian wedding here. Imagine having your wedding ceremony here? It truly does not get more beautiful than having the Pacific ocean as your wedding backdrop. 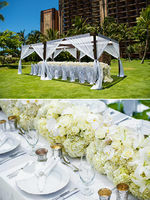 Learn more about planning a Disney Hawaiian wedding here. 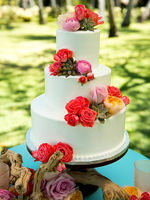 Disney's expert pastry chefs can create your wedding cake to match the style of your wedding. Learn more about planning a Disney Hawaiian wedding here. 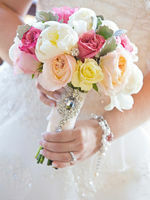 Skillfully crafted bouquets, leis and floral centerpieces made using time-honored techniques will imbue your celebration with all the sacredness, love and beauty of island traditions as you create traditions of your own together on this special day. Learn more about planning your Disney Hawaiian wedding here. 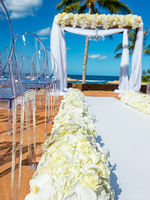 Make your vow exchange even more symbolic and memorable by adding the upgrades of a wonderfully island-appropriate sand ceremony or lei exchange. Ask your Disney Wedding Planner for a complete list of upgrade options and learn the pricing details. Learn more about planning your Disney Hawaiian wedding here. Planning your Disney wedding is incredibly easy. With a few quick selections, you'll be well on your way to the fairy tale celebration of your dreams! Learn more about planning your Disney Hawaiian wedding here. From simple and stylish to an opulent outdoor affair with lavish florals, Disney is available to every bride. Their overall goal is to create a seamless day, free of stress of worries. A day fit for a princess. Learn more about planning your Disney Hawaiian wedding here. The wishes collections offers three different wedding venues to select form. The one above is the AMA`AMA Patio. 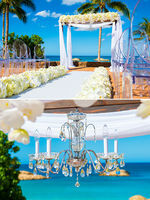 This versatile open-air space with a breathtaking view of a white-sand beach dotted with palm trees is a natural choice for couples seeking a ceremony with tranquil vistas of Ko Olina's lagoon. Learn more about planning your Disney Hawaiian wedding here. Their wish collection can accommodate up to 80 guests, and they will help you schedule your event around specific dates when the Resort is less crowded. Learn more about planning your Disney Hawaiian wedding here. 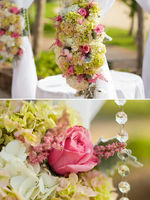 Disney can design anything for you, even the most opulent and lavish wedding bouquet. Learn more about planning your Disney Hawaiian wedding here. 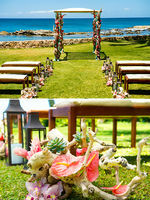 For a more intimate wedding, they offer the Kula Wai venue. 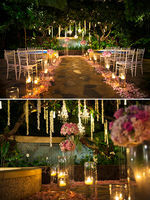 You can enhance your ceremony with beautiful crystals, orchids, twinkle lightsand even chandeliers hanging from the surrounding trees, creating an atmosphere of magic for your special ceremony. Learn more about planning your Disney Hawaiian wedding here. After your heartfelt exchange of vows, celebrate with a legendary reception that reflects your sense of style in their spacious ballroom, named for a benevolent local mountain goddess who helps the lost find their way home by sending birds to guide them through the forest. As you can clearly see, Aulani, A Disney Resort & Spa in Ko Olina on O?ahu has everything to complete your fairy tale wedding. 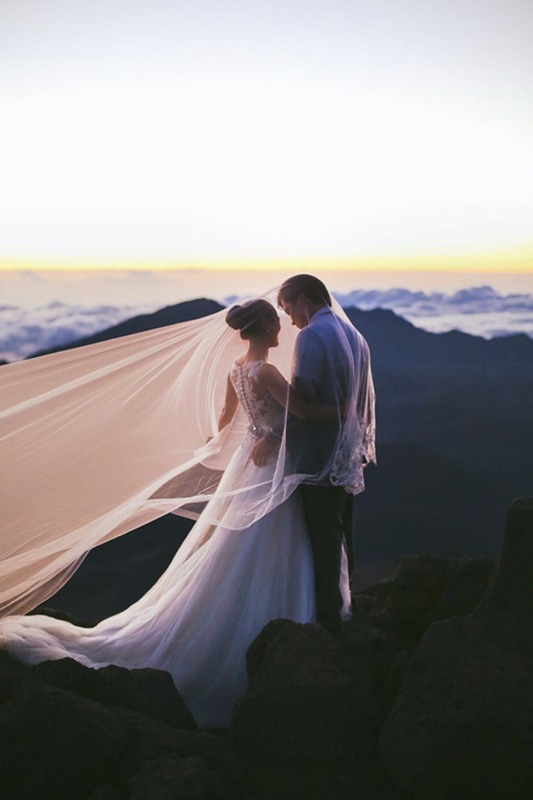 You can learn more about planning your Disney Hawaiian wedding here. Make sure your memories never fade by capturing the special moments of your event with the help of Disney's expert wedding photographers and videographers. These professional storytellers will preserve your memories and portray you in a beautiful and artful way that you'll treasure for all time. 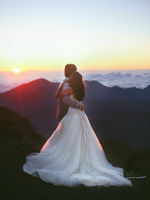 Learn more about planning your Disney Hawaiian wedding here and be sure to see Edelwisa and Tetsya real wedding here.